This 1904 Pancake was deserving a thorough restoration. 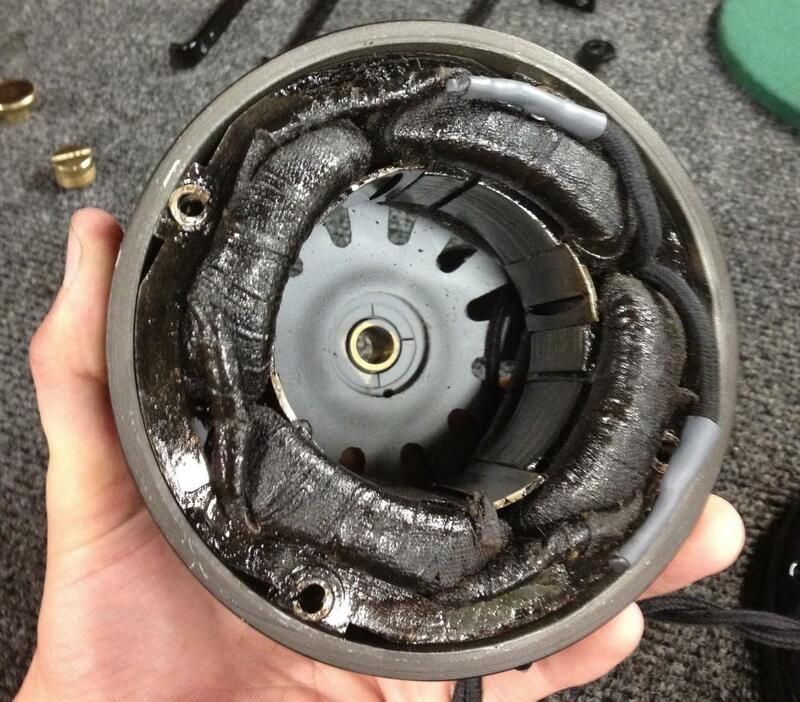 Just like anything, there are a variety of ways to approach the restoration of a fan. These methods vary from professional to down right dangerous! Click through to read about how to do it quick and dirty. Above is an image of how it SHOULD be done, read further to see how it should NOT be done. As you work with more fans, it's undoubtable that you will come across some fans that have been absolutely butchered by kind-hearted souls of its past history. This one was a particularly fun example! Creating a glass-like paint job seems to be a controversial subject amongst AFCA members. Click through to find out how to achieve one! In our last blog entry I discussed applying a guide coat to a freshly painted part, this time we'll discuss the process of sanding down this coat and you will see how useful the guide coat is. How to make that old paint shine! In this article Josh Backens will explain how to preserve an original finish to create a stunning and valuable fan. This technique is especially useful on fans with Japanned finish but be careful on fans with thin enamel finishes such as post-pancake era GE's as this paint is not nearly as durable.